We will be closing up shop for Sunday, Monday, and Tuesday (October 9th – 11th). 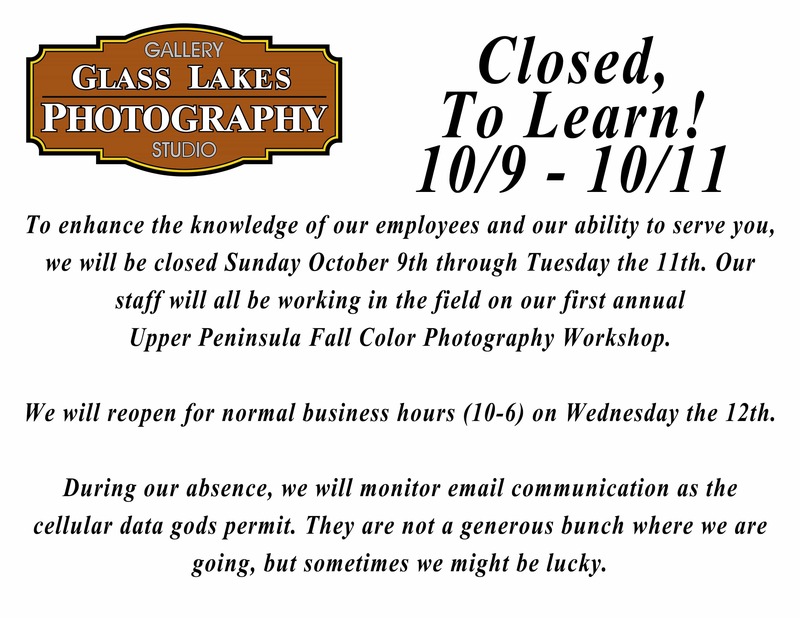 As our employees will be participating in our first annual Upper Peninsula Fall Colors Photography Workshop. This is a program we will be offering to the public as a means to enhance their understanding and capabilities with photography, which translates into better service for our customers. We will be open on Wednesday October 12th for normal business hours of 10am to 6pm. All services are effected, Gallery, Printing Studio, Image Services, etc.